Get Yourself Prepared for Home Pest Control! Pests, if left unchecked can make your life hell. Even if you are actively maintaining the hygiene of your house but still get bugged by pest problems then this blog will tell you how you should prepare yourself to tackle the problem. However, some beforehand preparations need to be made to make your pest control exercise more effective. In the following article, we will discuss some of the prerequisite preparation important to control different insects. Cockroaches spend most of the time in hiding, and therefore even after spraying pesticides you can’t get rid of them because spray can’t reach those hidden spaces. Thus, to make your pest treatment effective, remove all those items such as counters, closets and dressers where you often notice the presence of cockroaches before spraying the pesticide. In kitchens, the back of refrigerator, and small crevices along the countertops and under the sink are among the favorite places for cockroaches to hide. To make your pest control treatment work in the kitchen, move the refrigerator so that you can directly target that area. Leave all the things untouched for 3 to 4 hours after the spray to get the best results for your cockroach control spray. Ants can be a source of a lot of nuisance on the floors and walls of your house. You can get rid of them by effectively using baits and insecticides. Some advance preparation can make your ant control treatment more efficient. Wipe down thoroughly all the kitchen counters and sweep floors in order to make sure that there are no spills and remains that can be used as potential ant food to make baits effective. You can also use vacuum cleaner to get rid of every small crumbs and bits of food. Carpets, upholstery of couches and chairs and pet bedding are the usual places for flea to lay and hatch their eggs. Before using flea control sprays, vacuum all those items. You can also wash pet beddings to make the spray more effective. Eradication of other insects and rodents such as bad bugs, spiders and rats also need the type of preparation that is discussed above. There are different products you can get from any good pest store to prepare yourself for a home pest control. Baits: Baits are effectively used to get rid of ants and rodents and they are also less dangerous for the environment. Insect growth regulators: They are the chemicals used to inhibit the life cycle of harmful pests such as fleas and cockroaches. 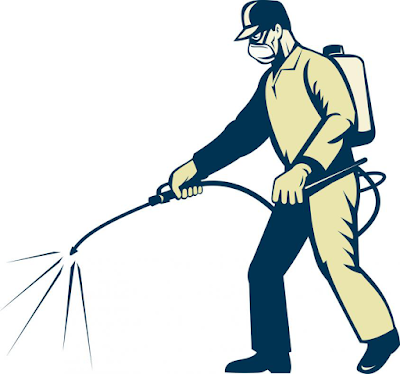 Repellent and non-repellent insecticides: Both of these products can use for pest eradication. Non-repellent insecticides are mostly used for ant control because they start to identify and avoid repellent insecticides. Glue Boards: They are another non-toxic yet an effective way to deal with different types of insects and rodents. Rats, cockroaches, ants and all other crawling insects can be trapped through glue boards. Advanced preparation and getting all the important pest control products can make your Do-It-Yourself pest control a success.